Cosmetic Dentist in San Rafael, CA | Richard F. Creaghe D.D.S. Dentist in San Rafael, CA - Dr. Richard F. Creaghe D.D.S. Dr. Richard Creaghe has been serving the San Rafael area since he acquired his practice in 1990. He fell in love with the area, finding the people extremely welcoming and he couldn’t be happier to help serve the community. A native of Texas, Dr. Creaghe truly has a unique story. He attended university of Hawaii and then attended the University of the Pacific School of Dentistry. To support himself through dental school he worked as a roughneck on oil rigs in varied locations such as the North Slope of Alaska’s Prudhoe Bay and the South China Sea, often flying to work weekends while attending classes during the week. During his free time Dr. Creaghe loves to travel and enjoy the outdoors, especially while jet skiing. 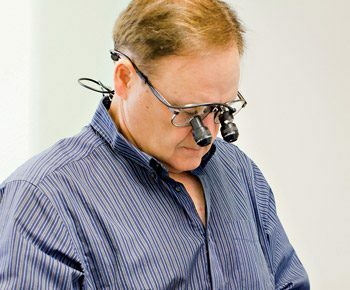 Dr. Creaghe is a firm believer in the process of continuous improvement and routinely takes courses at the Las Vegas Institute for Advanced Dental Training. There he improves his knowledge by learning both the newest techniques and how to use the newest advancements in dental technologies. He is a member of the Academy of General Dentistry and he is also a Fellow in the International Congress on Oral Implantology, giving him the distinction as one of the best providers of dental implants available anywhere.